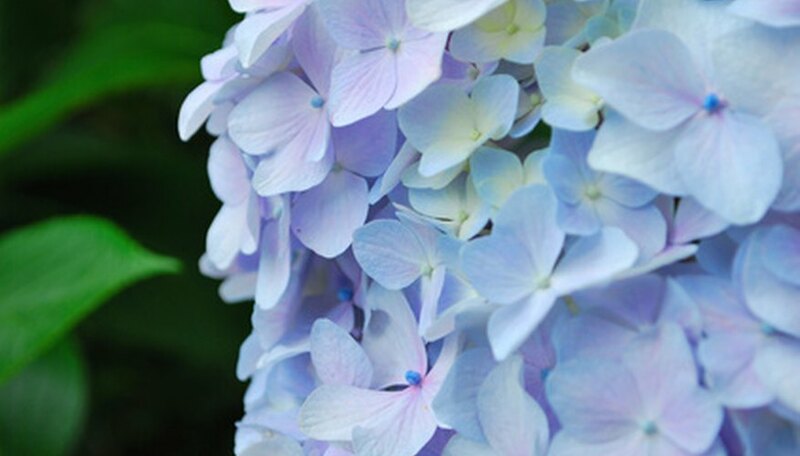 Hydrangeas are beautiful, hardy shrubs that will beautify the landscape for years with a minimum of fuss. However, if you live in a climate where the ground freezes in winter, it's important to be sure the hydrangea plant is properly protected before cold weather sets in. Although preparing a hydrangea bush for winter might take a bit of time, it will be well worth it when your healthy hydrangea bursts forth with bright blooms in spring. Use pruners to cut away the old wood at the base of the hydrangea bush. Remove any dead or weak branches, but be careful not to cut away healthy, new wood, as this wood will support next year's growth. Build a cage around the hydrangea. Begin by placing wooden or metal stakes in the ground in a circle around the bush, then make a protective cage by wrapping chicken wire around the stakes. Fill the chicken wire cage with organic material such as dry leaves or pine needles. Don't pack the organic material down tightly, because doing so can break the branches. The material will settle over time, so keep some extra organic material on hand to replenish the material in the chicken wire cage as needed. Bring container-grown hydrangeas indoors before the first frost of the season. If the hydrangea is too large to bring indoors, put the pot in a sheltered spot in your garden, and build a chicken-wire cage around the entire plant. Fill the cage with organic material. Remove the chicken wire cage and organic material as soon as the last frost of the season has passed, so the tree can grow without stricture. Save the chicken wire for next year, and throw the organic material on the compost pile. Rake the ground under the hydrangea bush to remove any old, damp organic material. Apply a fresh, 2- to 3-inch layer of bark mulch around the plant to deter weeds and retain soil moisture. Leave a 6-inch circle uncovered around the trunk, as mulch that mounds against the trunk can attract pests and disease.